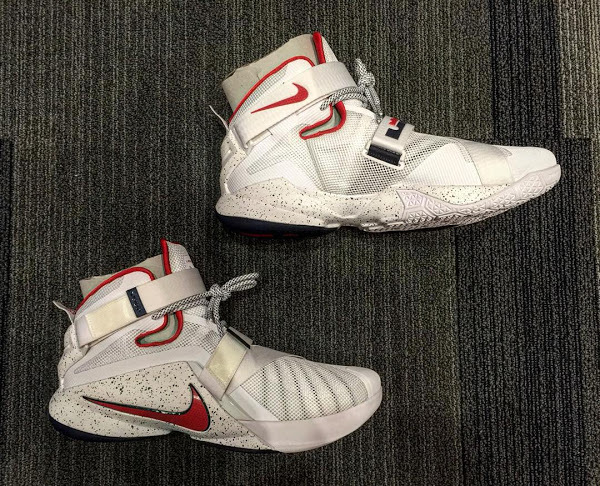 A couple of Player Exclusive models of the Soldier 9 have already been profiled here on NIKELEBRON.net. 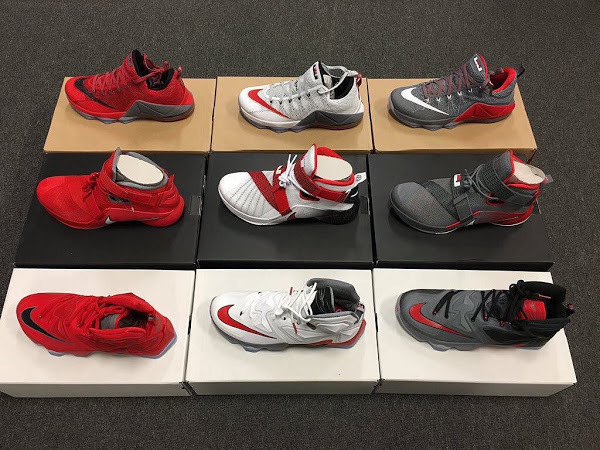 We’ve seen the Oregon Ducks, Arizona Wildcats, Kentucky Wildcats and the Ohio State among the college colorways. 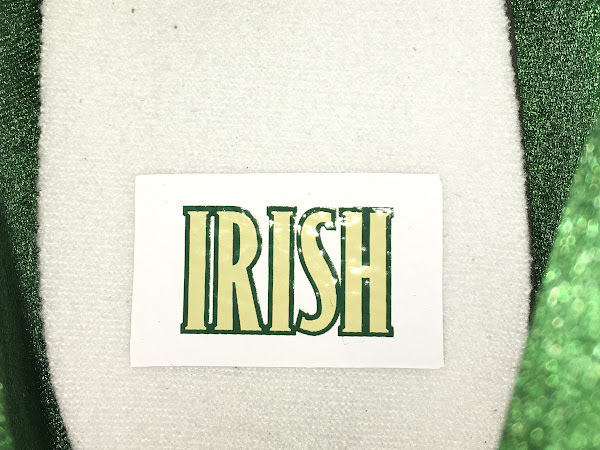 Now we get the first look at one of the High School styles and we start things with the most significant of all… the St. Vincent St. Mary Home version. 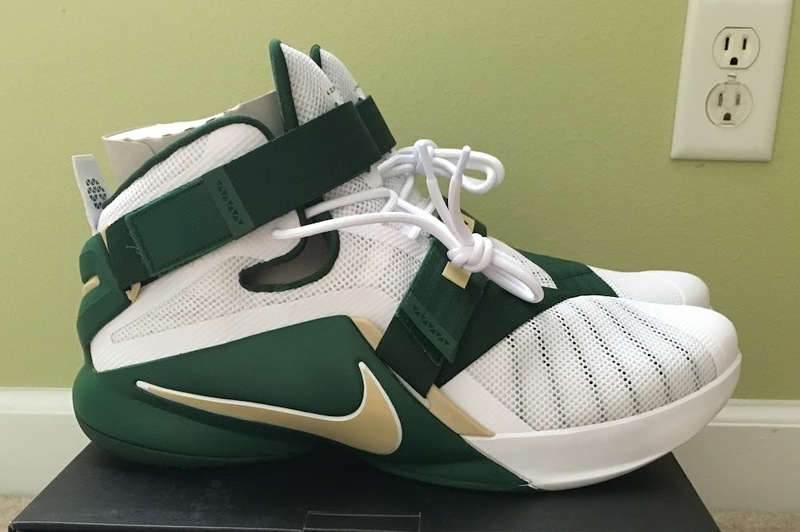 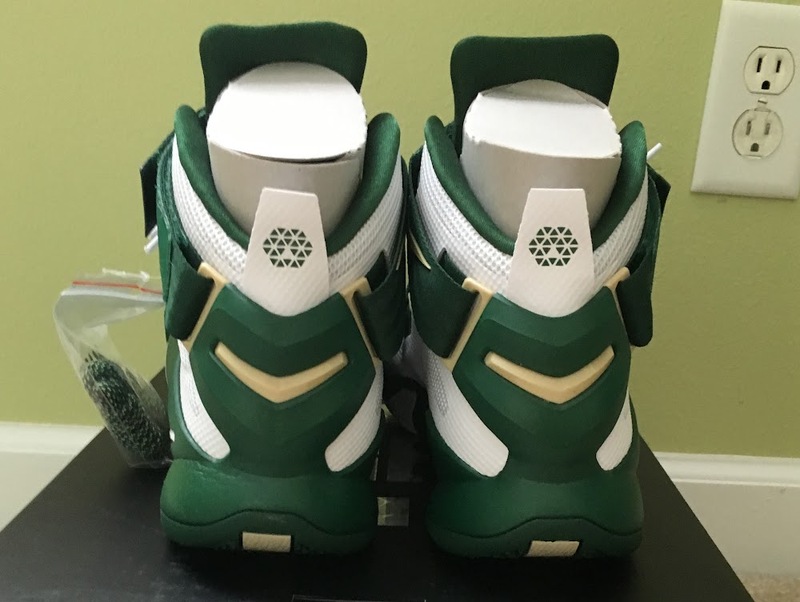 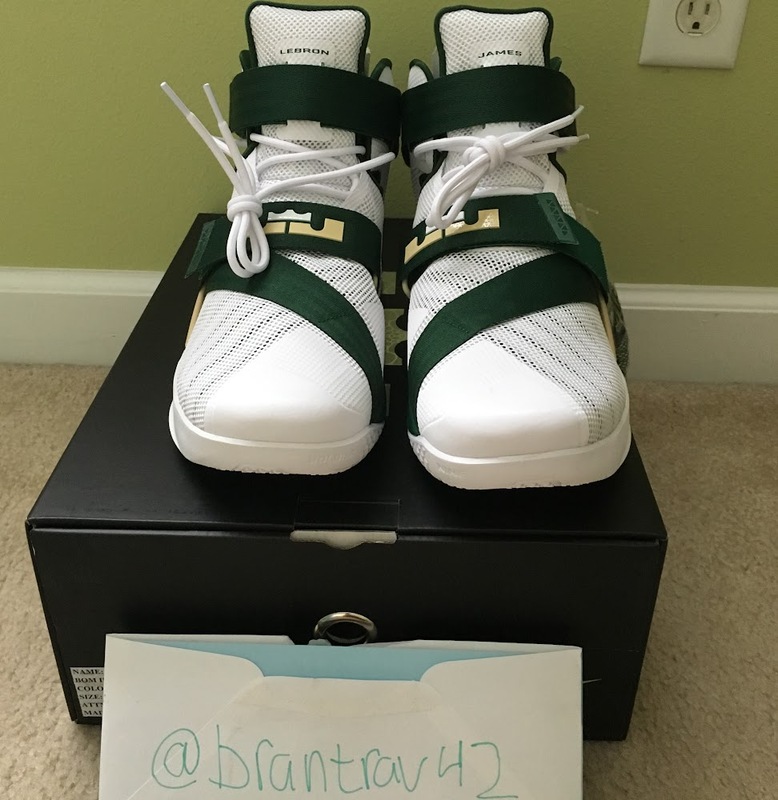 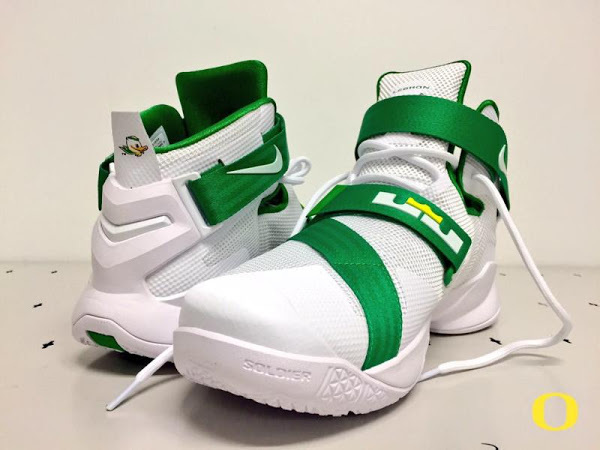 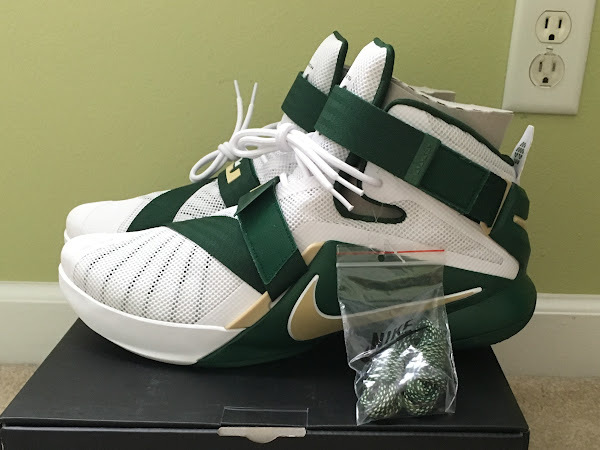 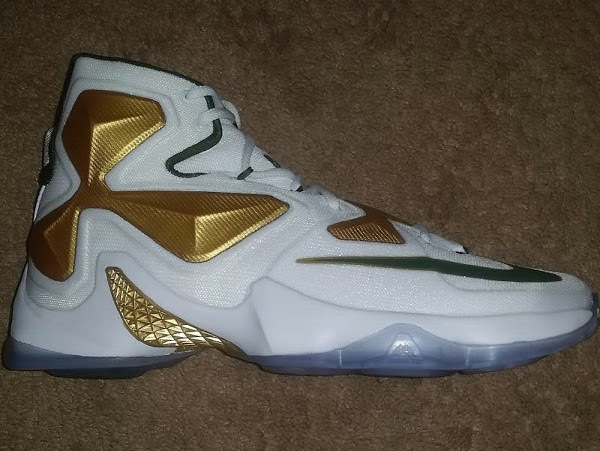 It’s a pretty basic look, no special logos on the outside, but the insole, which is the only removable part of the shoe, comes with the Fighting Irish logo. 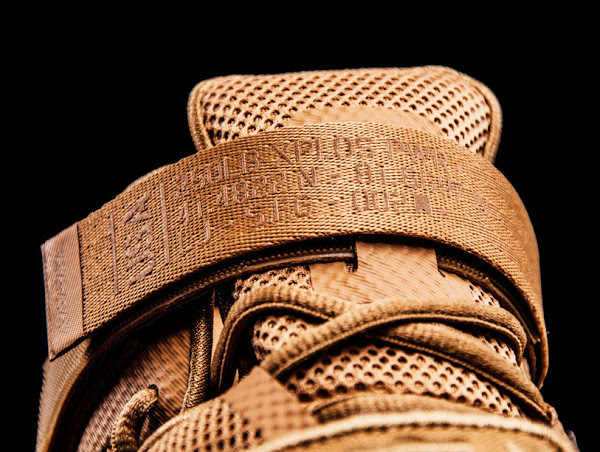 Check out the detailed look at the SVSM Soldier IX below. 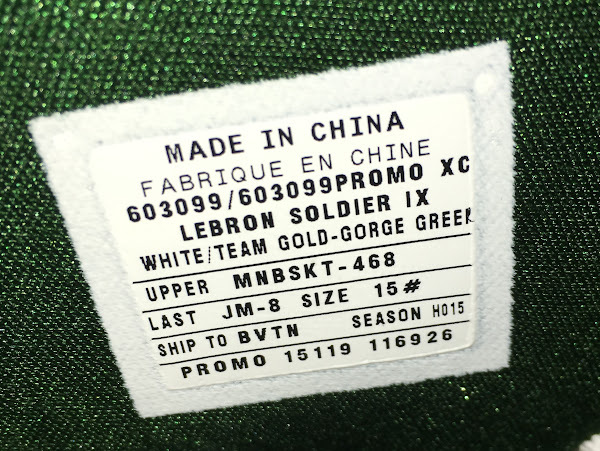 Thanks to @brantrav42 for sharing.